une partie d'activités interactives avec videos et une partie lexicale." 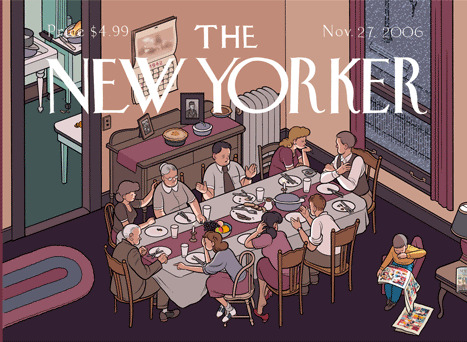 THE THANKSGIVING STORY - Read, watch and listen! ex : "Columbus is to 1492 as Pilgrims is to _______________. 1493 / 1620 / 1776 / 1957"
"Circle the food items that were NOT found at the Pilgrims'Thanksgiving Dinner." 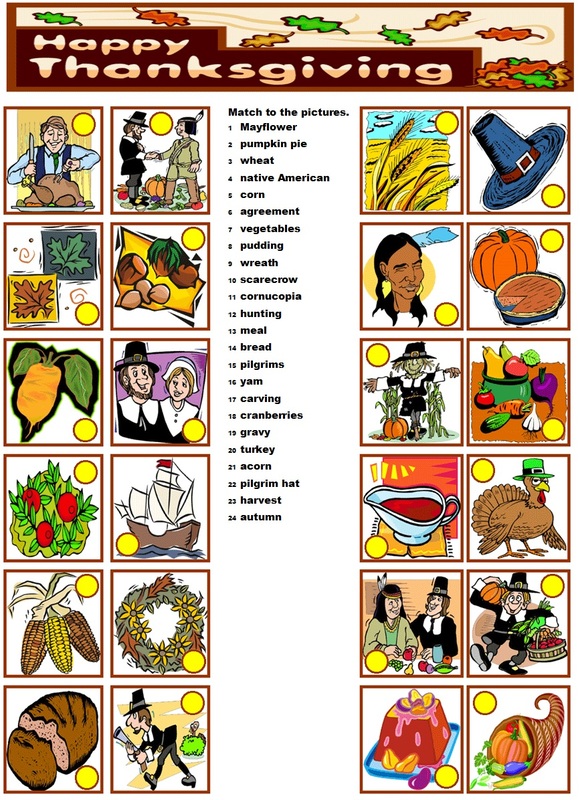 Thanksgiving Word Quiz - "Use the Little Explorers picture dictionary to answer the ... questions." "Match the definitions in the right column with the correct word in the left column. There are more definitions than words." "Read the map, then answer the geography questions about the Pilgrims' crossing on the Mayflower." ex : "Christmas is to December as Thanksgiving is to _______________. (month / date / celebrate / November)"